Time to share apples.. Will they take them?. Why do we insist on keeping the festival spirit alive all year around? 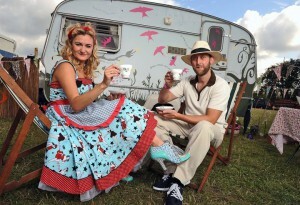 Why do we insist on keeping the festival spirit alive all year around?. 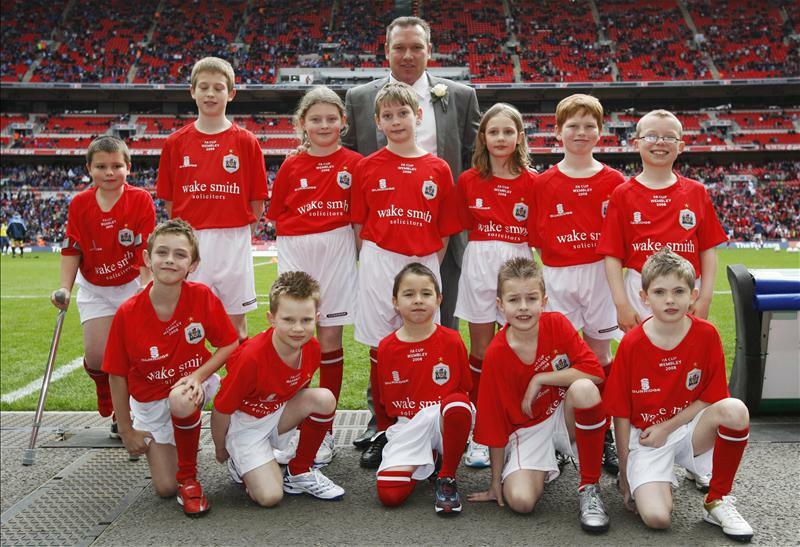 REAL RADIO: We found our BARNSLEY MASCOT for this Sunday’s match against Cardiff. 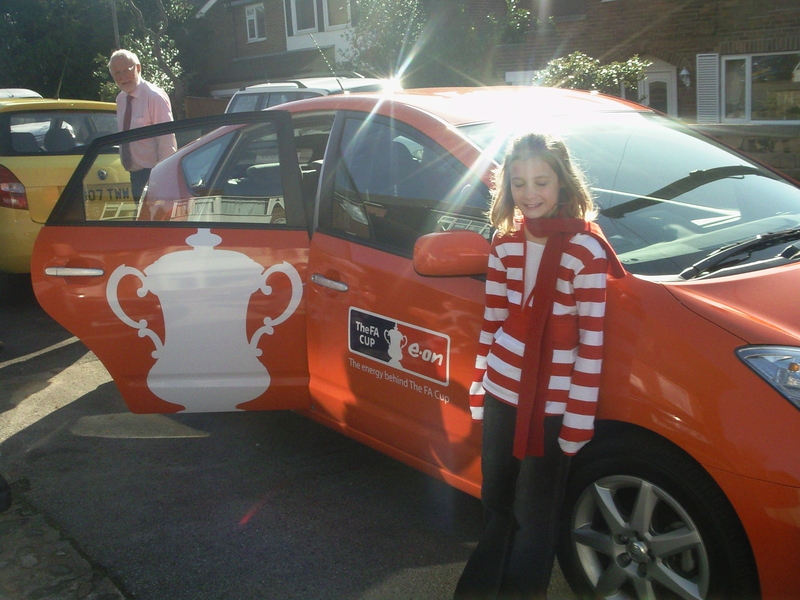 Libby O’ Brien from Pontefract is the lucky young lady who will be walking out at Wembley with the team. According to the text vote, she did the best impression of our very own Justin going mad at the Barnsley v Chelsea game, but she had some very stiff competition! 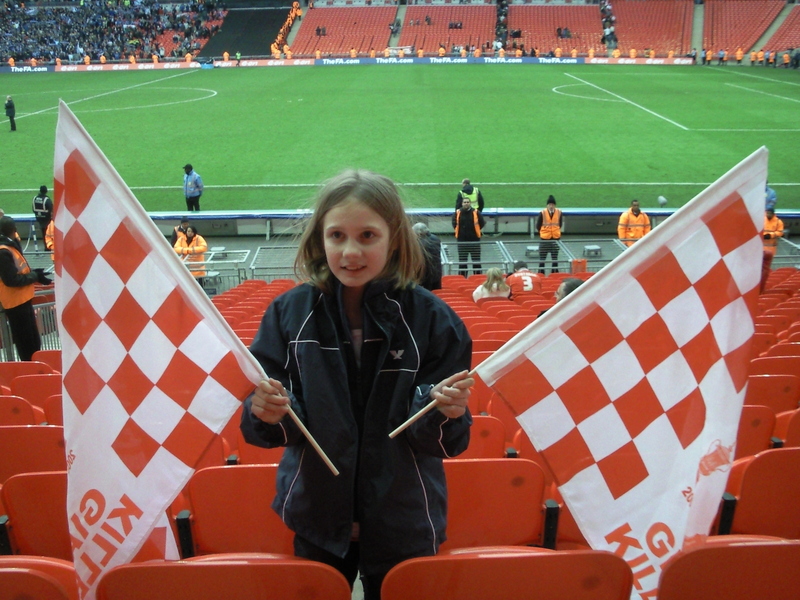 The two runners up were also given tickets to the match. Why do we expect the festival feeling to last all year around? A few years ago I wrote a blog comparing how my life was split into two parts, Christmas and Festivals! Don’t get me wrong, I have three wonderful children, a best friend/husband, 4 cats and a home to keep me busy, but there is no doubt that when the festivals ended, we rested our festival feet and Christmas took over. Then of course on the first on January the opposite happened as talks about tinsel, Christmas pud and pressies were taken over by talks of solar powered fairy lights, music, campfires and lots of fields in various guises. But things are changing, festivals have taken over for me pretty much all year around now and every year we start planning, designing , thinking (and obsessing ) about those great big parties under the stars much much earlier. It got me wondering why this was happening. Was it just us organisers that needed more time to get things sorted or was it the festival goers that needed something more from us? 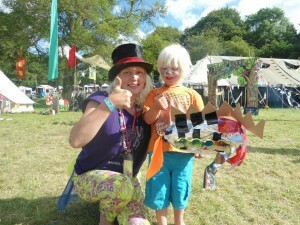 What made us keep the festival spirit alive all year around?? 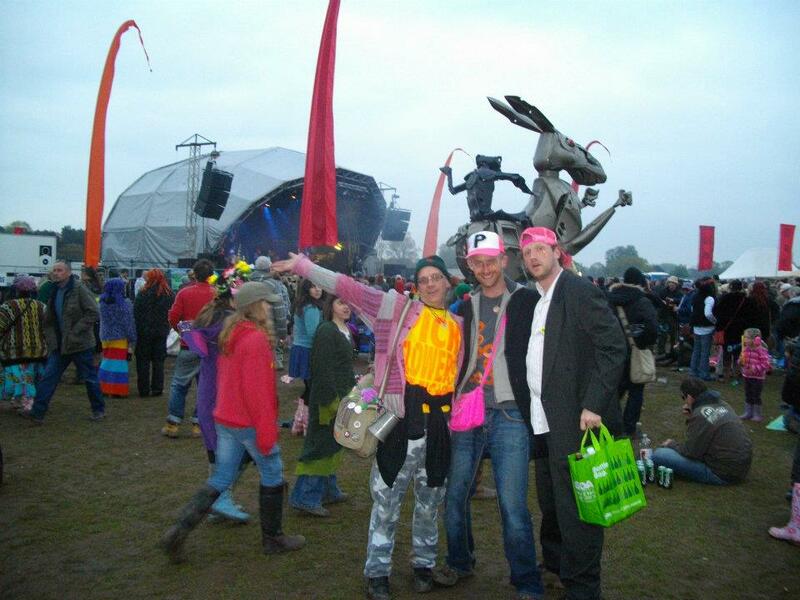 It is only fair I point out that I am not just an ordinary festival goer. 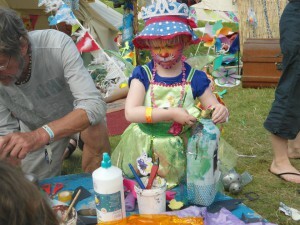 I run Angel Gardens which is a creative space that travels around the county at up to 12 festivals a year. With up to 100 crew at each festival, an acres worth of activities, tents and fancy stuff, performers, workshops, campfires, pa systems, stage lighting, 3 miles of fairly lights and 12 miles of bunting (I kid you not) and a full 12 hour program of performance and activities every day at every festival we do….so you can imagine that I’m not just buying my tickets, packing up my tent and food for the weekend (I have to do that as well). I have a lot more to plan for that most festival goers. But it used to be that between October and January the festival community went into hiding and you wouldn’t hear a dicky bird in that time. But now I am getting emails from organisers asking for line ups in July for festivals in May, and I am part of social network groups of festival goers who are planning their summer in October! 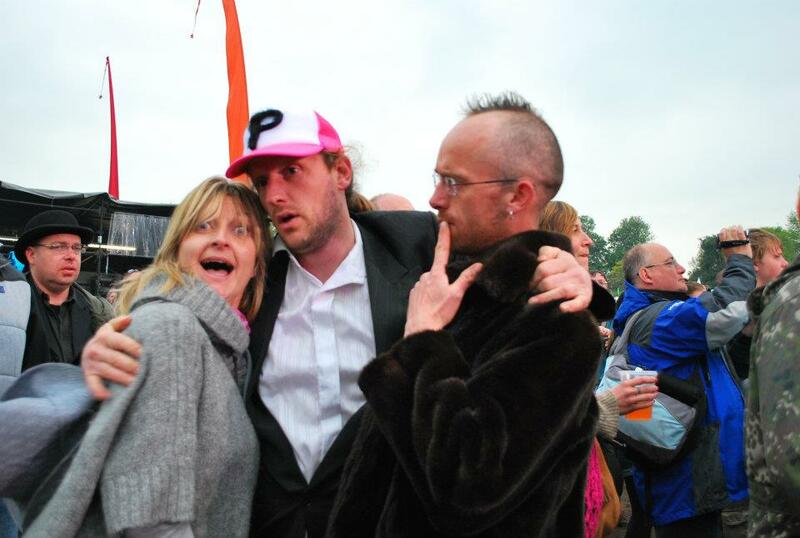 What about you punters, festival goers, discerning goers of fest??? Why does the festival feeling just keep alive all year around? with Facebook pages, twitter and forums on both festival sites and independent information givers such as E-Festivals and Festival Kidz, we are discussing, sharing and getting giddy and staying in touch all year around. I know that I have a whole different life outside of home and family. My friends, clients, crew and customers (ie; my festival family) live all over the country and we all expect more than a few days in a field from each other. We all do! We are a community that doesn’t live near each other yet consider each other crucial parts of our lives. We have to put in a lot of work to keep ourselves together. We want to know what organisers are doing, thinking and planning to make life more exciting at their next festival, we want a say in their plans and we all want to know about each other, support each other, remain friends and have contact throughout the winter months. I look and follow all the festivals I work with and watch them with awe as day in day out as they post music, images, questions and jokes to keep their special community alive during the winter months. 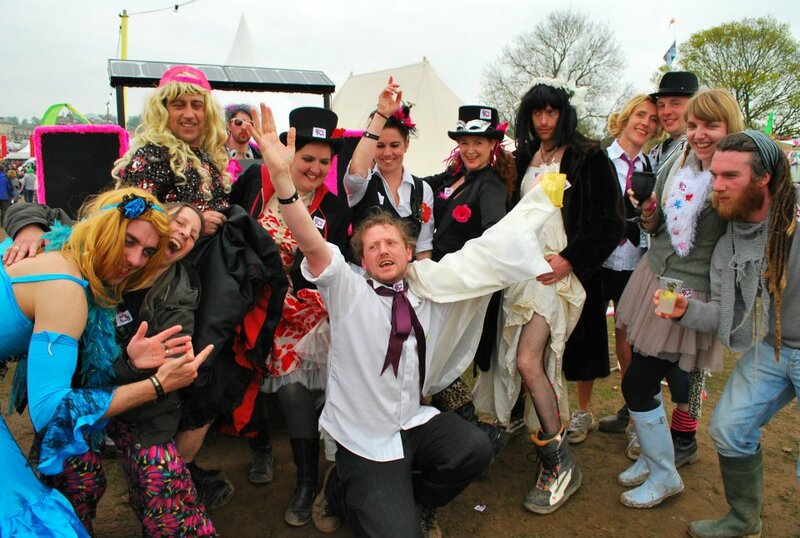 They organise events to give their festival family an excuse to get together and party outside of their chosen field. Blissfield’s for example host ‘The road to Blissfield’s’ where they promote gigs throughout the winter of bands they will be hosting in their (beautiful) field in July. Bearded theory held an after show ball this year, black tied festival goers flocked to derby to party in a function room in a city centre hotel. (The hotel didn’t know what hit them! All these scary looking hippy, rocky, gothy, alternativy types all giddily checking in in ball gowns and doc martins! Black ties and leather trousers). The highlight for me was spotting the bouncers as we entered the hall, all suited up and looking defensive. as we left I spotted them hugging a burly man in a frock and high fiving a mo-halked black tied gent as he passed!.. Festival folk can do that so easily! You see my theory is that the festival scene is not a scene anymore it is very much a community, a family and transient meeting place for like-minded souls. We come together for three or four days, live together, talk together, bond together and watch each other’s backs! It’s something exciting and something I cherish been a part of. We all toddle off back to our lives during the winter months. But the magic that is the festival, is not the music or the dance tent, it is the coming together, accepting and loving our neighbours (albeit in tents) and allowing our neighbours to return the favour. The festival becomes the environment that allows us to be us and allows us to be families in the way we want without judgement or pressure. An organiser provides experiences and ingredients for us to use in our time together. I have worked for festivals that care about their customers and those that want to make money from them (you can do both BTW) and it the money driven festivals that inevitably fail. My husband said a wonderful thing about a festival we struggled with. “You can’t buy a vibe” and you can’t, you need to provide an honest and open space not a contrived idea of a festival and charge a premium. ( that’s another story) as organisers we have a duty to provide an honest and inspiring home for our guests to come and live together, it’s not a festival for us! It’s a festival for them… for you… the space that keeps you inspired to keep the festival spirit alive all year around, the space that brings you together to celebrate your individuality as a group! I run Lost Kids and Child Welfare from our space, Angel Gardens, at a number of festivals and thought it would be of great use for you lovely festivalling parents to tell you what goes on behind the scenes and my tips for you and your children should you find yourself separated. This is a long and comprehensive post because all of the information in it is important and I urge you to read it, but if you haven’t got time right now then skip to the end where we have listed our TOP TIPS. My background is as a child psychotherapist, I worked within a team of social workers, medical clinicians and schools, support children and their families who were at risk or simply needing some support, for many years. 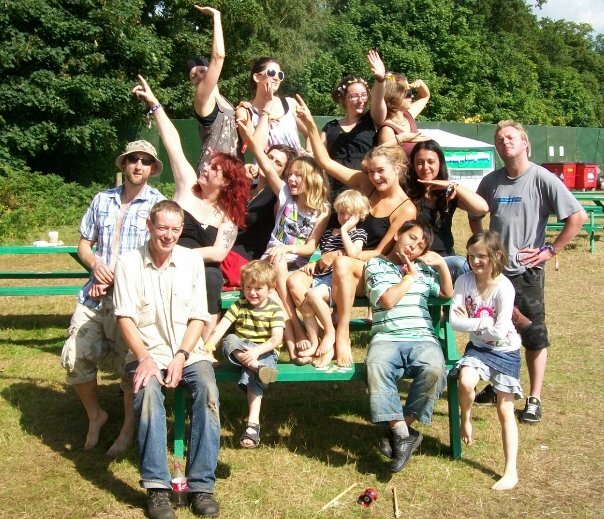 On starting my business creating children and family spaces 7 years ago I realised my skills in child welfare and protection were needed to help festivals and you parents keep your little ones safe and cared for. Now every festival does things a little differently but the same rules will apply to all events and we all have specific rules we follow and a lost child always becomes a priority at event. Here is how we do it at Angel Gardens and hopefully this will put your mind at rest that we, and all the other festival welfare teams, are doing all we can to ensure your little ones are safe while you enjoy your festival. On finding your child is missing, always go straight away to the lost child point. If you can’t find it or it is a long walk away, find someone like a steward or security person. In Angel Gardens we have all our staff trained to accept lost children and they have a lanyard that states this. Many other festivals do this too; it allows your child to find safe adults easily and even choose who they feel most comfortable approaching. Walking into a lost kids office or medical centre can be very scary! Tell your children what kind of person to approach when you are on site, it will make them feel safe and educate them where to go in case you do get separated. Time is of the essence with a lost child, and the amount of parents that don’t come to us for help for well over an hour is staggering. The longer you leave it the more likely you are to get even more lost, distressed and more in danger! If you both start looking for each other, you find Mum goes wandering off one way, Dad goes a different way and your little one wanders off in another direction all together. 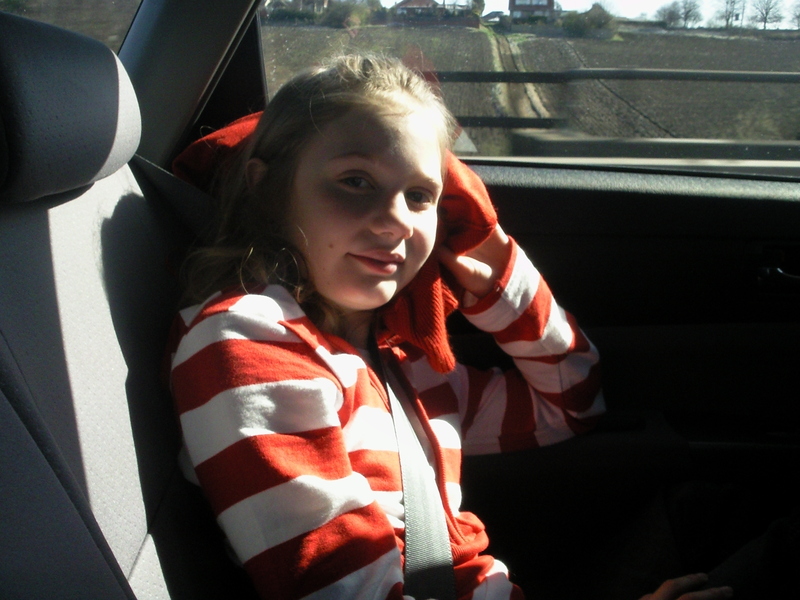 Coming straight to the Lost Kids Point, means we can keep you in one place ready for when your child find their way back to us and we can send our instruction to the (sometimes hundreds) of professionals on site. It’s better for these guys to go looking, as they have radios and manpower! With phone signals unreliable and sites often so big, you may find Dad is still looking for little Johnny an hour after you have found him!! Stay together and let us do the work. As soon as you inform us or other personnel, we will inform all the gates and exits to stand by. This means no-one can leave with a child until we give them a description. If you come to us straight away it can be done in seconds which is always a great thing. We then take all your details and the details of your little one and radio it out to all the stewards and security on site. On giving out descriptions EVERYONE working on site will be looking! It is the easiest thing in the world for a potential abductor to approach a child he or she knows is lost and win their trust. We and all other festivals will do everything to keep your information safe and NEVER let anyone we don’t know look for your child. It is so important that you stay with us when you report your child missing. We had an issue at a festival a few years ago, a dad came running up to us in a panic and shouted as he passed “My daughter is gone!” – he followed with a brief description and ran off leaving us stunned but with no option to put procedures in place with the little information we had. We were looking for 3 hours and had to bring police on site as we had no way of knowing the child had been found. The father staggered up later to tell us he found her minutes after reporting it! You can imagine how much wasted manpower and time this had taken and how it could have jeopardised us finding other children or dealing with other issues of site. Another thing to remember is when we find your little one, we need you to be here to greet her or him as she may be upset and although lost children staff are trained and friendly, they may feel very frightened. Golden rule… LET US LOOK, YOU STAY WITH US! We have procedures in place should a child not be found in an allotted time, this changes depending on ages, so if a baby goes missing, we close all gates and exits immediately and they remain closed till we find baby, for a 12 year old of course we have different times before we reassess the situation regularly. The most professional child welfare workers will be able to assess each and every case and make educated decisions. But no matter how things evolve you know they have very solid procedures to follow and your child will always be the priority on site at the time. Rest assured the gates and exits will not let anyone exit with a child of your description, age or gender nor will they stop searching until the lost child officer in charge at the time confirms they can be opened again. We don’t do that till you have been reunited… Staff will look, and remain looking, until we are 100% sure we have brought you back together. Of course we have always prepared contacts with Police and local Social Services, so should we feel we need to take further action, we are always ready to do so. We take time scales very seriously with lost children and everyone will be trained, I personally meet with stewards and security team before any festival starts so they know EXACTLY the protocol we use. Although different events have different procedures they tend to fulfil the general aims and objective set by national UK child protection guidelines. But clarity is a priority for any child welfare team. In 7 years of doing this work and over many many events and hundreds of lost children, we have only ever had to call for outside help twice! Once to find the little boy in question had slipped down the side of his air-bed and was hidden under the covers! We were all so very relived to hear him snoring snug as a bug in a rug! So what if your child loses you? Well believe it or not parents are always getting lost! We much prefer a child to come to us tell us that they are lost as we know they are safe and in our care. Having mobile numbers on the wristband is a help, but we do have a slightly more effective system that other festivals are taking on board. We always try and ensure no one can win your child’s trust, and offer a registration service. This is Trixie, our caravan, but Lost Kids offices come in all shapes and sizes! Children and parents come to ‘Trixie’ on arrival at a festival and fill in a form with everything we need, contact numbers, descriptions, addresses and contacts off site and even medical info and allergies. This form is numbered and both you and your child receive a wrist band with a number that relates just to your information. This means no matter why or when you or your child comes to us we have everything we need to reunite you and QUICKLY. Also it means you are not putting your contact details for all to see… Again we encourage as little personal information on show as possible as it can be used to gain a child’s confidence. Children can often be upset when they come to us, and younger children find it difficult to tell us simple info like: what mum is wearing and even a simple surname. This registration form means we can skip past that and get stuck into making your child feel safe warm and happy, while another colleague can get on with finding mum and dad. More and more festivals are following our lead with this and if registration schemes are in place I would highly recommend you use it. If a registration service isn’t available, write the mobile number on the INSIDE of the wristband so no one can see it other than the person who removes it. Again we have time deadlines set for reuniting a parent with a found child, and although they are more relaxed than those when the child is lost, they are still in place for your child’s safety. We can announce a parent’s name on the stage for example as it causes no risk to the child in question and we do send security and stewards out look for you if we are unable to contact you on your phone. But while your child is with us they are safe so we don’t rush around the same as we would if the child were lost… again… come straight to us if they are missing, don’t go looking around as it may just cause more upset for you when in reality they may be sat with us drawing a picture of the main stage and talking our hind legs off about the circus skills they learned earlier! When you come to collect your child, you may find you are asked to stand outside the office or place where your child is been cared for for a few moments. Please don’t worry, we do this so your child can identify you and we are sure they are going to their parents. You will always be asked to sign a form to say you collected your child too, again nothing to worry about. Some festivals contact parents after the festival to ensure they didn’t suffer too much trauma and offer support; we just like you to confirm you have been reunited so we can tick it and add a smile that we have another happy ending. More and more, we come across young adults who are becoming venerable due to drink and drugs. It’s tough when you have 13 year old girl who looks like they are 25 but it is good to remember we are here for these guys too. We had a situation last year where a young girl had become a little worse for wear and was offering herself to every passing guy. She was only 14 and was putting herself in a very vulnerable position. We were contacted by a member of the public and we were able to remove her from the situation she had put herself in and reunite her with her very shocked mother. Similarly with under 16s we work as chaperones should they find themselves in the care of medics or security. Festivals are great places to discover adulthood, but we are still here to ensure young people are cared for and that parents understand the importance of keeping a close eye on their safety. We understand and remember how we felt invincible when we were teenagers so it is so important to all festivals that they have policies in place for young people as well as children… as we know NO ONE IS INVINCIBLE. So that’s it! That is how hard we work behind the scenes to make sure we are ready to help you should your family becomes separated. We know and understand festival life and also, as parents, understand how easy it is to get separated. I can’t tell you how many times we have reunited a child with the parents and the child just said something like, “ What? I’ve just been making a puppet in the Big Top!” – often they didn’t know they had even been missed. ANGEL SAM’S TOP TIPS FOR KEEPING KIDS SAFE. 1 – If there is a child registration scheme USE IT! 2 – Write mobile numbers on the INSIDE of wristbands. 3 – Make your first trip at the festival a trip to the lost kids office! Say ‘Hi’ and meet the staff, help your child feel comfortable to approach them if they need to. 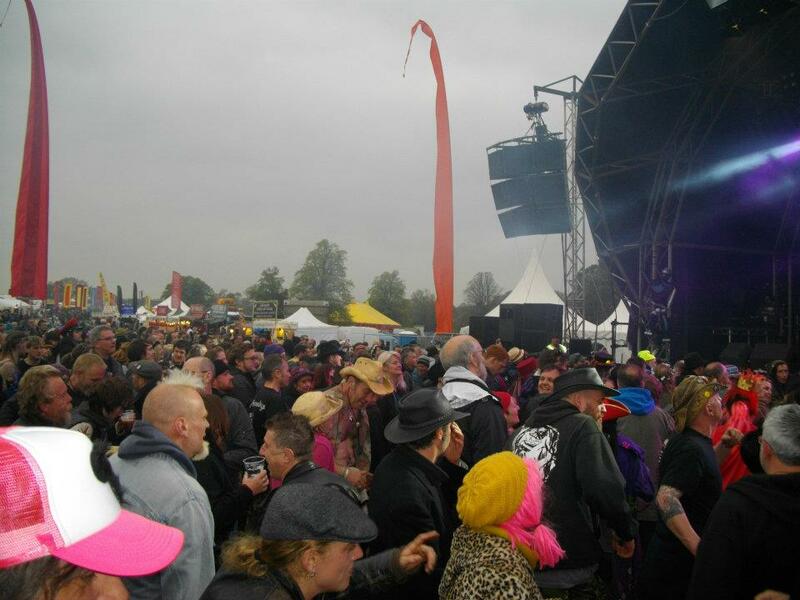 4 – Over the weekend point out ‘SAFE ADULTS’ – stewards, security, children area workers! Say ‘Hi’ to them too, show your child they are approachable… you will find most have a stash of sticker in their pocket for this reason. 5 – IF YOUR CHILD GOES MISSING GO STRAIGHT TO THE LOST CHILDREN’S POINT and stay there with staff. 6 – DON’T LOOK FOR THEM YOURSELF Stay with the lost child officer till you are reunited. 7 – Check your phone will have signal in advance, most festivals will say on the website if they don’t have coverage for certain networks. You can get a cheap pay as you go card for less than £10 (it can be your festival phone!). Also bear in mind that even areas that normally have good coverage may suddenly find it is patchy when several thousand people are trying to use a network in a field usually occupied by a couple of sheep! 8 – Put your phone on VIBRATE and NEAR YOUR SKIN when you are by the main stage or having a boogie. 9 – Be very clear if you are arranging meeting places with older children. Visit it first together so you know exactly where to meet and Sync your watches!!! 10 – Don’t leave your younger children in the kids area, most festivals are offering family activities not a babysitting service. You may find a child you left in a workshop making a wand will be calling you from the Lost Kids ffice after staff accompanied them over after the activity finished. 11 – Stay together! Festival as a family! 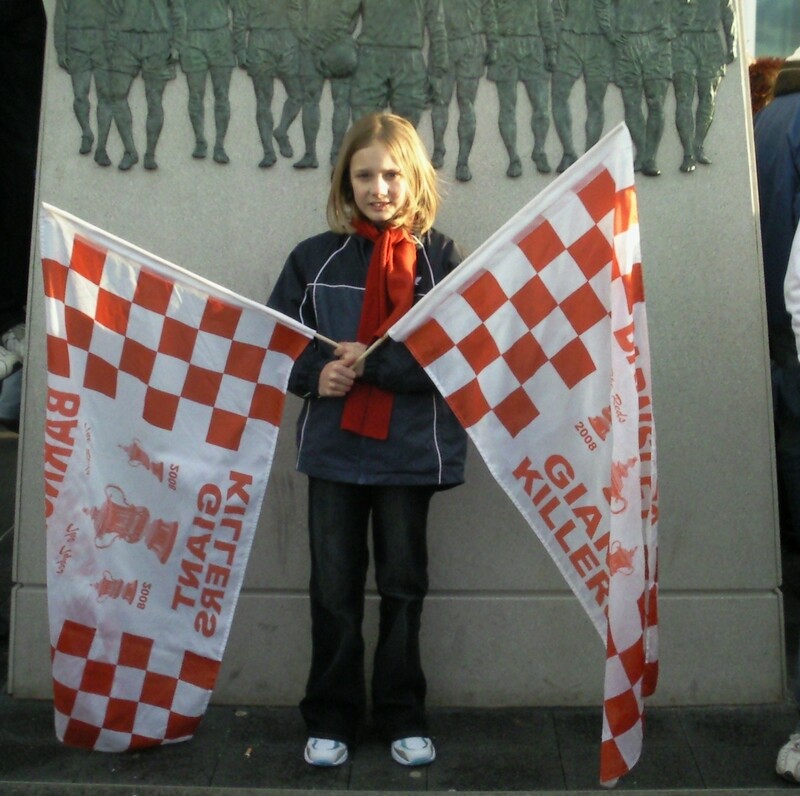 90% of reported lost children is when parents ‘nip to the loo’ or ‘arrange to meet them by the flags in ten minutes’ – kids lose their nerve quickly, so do stuff together. 12 – Communicate with each other, make sure you know who has the kids when you are in a big group… even if you need to make a joke by putting large groups of kids in pairs or do head counts… You’d be amazed how many times a child goes walkabout from a large group and isn’t noticed straight away. 13 – Invest in walkie talkies! The kids will find it brilliant fun, we used to put ours in little hi-vis jackets and haver their walkie talking on a strap around their body… they thought they were spies and we played games with them so they got used to using them. 14 – (Well I couldn’t leave it at 13 …very unlucky) So finally, have fun!!! Enjoy encouraging your children be part of a very safe and friendly community. Festival as a family, stay together and have some fun!!!! Things don’t often go wrong at festivals and I have only ever had one serious issue to deal with in all my time doing this work. But it’s good to be safe and good to be educated… now go forth and partyyyyyyy!! !